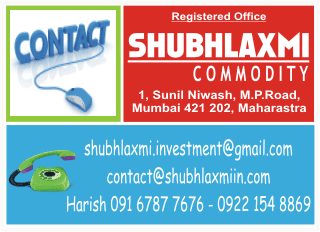 As can be seen from the chart, from the high of 997.40, MCX nickel has formed a five-wave decline. As per the Elliott Wave Theory, a five-wave decline is usually followed by a three-wave pullback. Thus, from the current level, nickel is expected to go for a third leg of the bounce. In terms of the price pattern, the commodity is forming an inverted H&S, a bullish pattern. The daily momentum indicator has triggered a bullish crossover. On the upside, 943 and 947 are the key levels to watch out for. The view holds true as long as the low of 888.80 remains intact.